While acupuncture is a distinctive feature of Oriental Medicine, herbal medicine has many parallels to, and is part of , general quest for effective medicines to treat illness. It has been seen that animals will use herbs. Relying on instinct, much like movement of sucking, rubbing, and licking that occur with discomfort, animals will occasionally in a reflexive action seek to particular herbs. Research has shown pregnant giraffes know to search out scarce plants that are high in phosphorus and calcium, as do lactating dairy cows. Same way there is evidence that primates use certain plants in a medicinal manner. Until well into twentieth century much of the pharmacopeia of scientific medicine was derived from the herbal lore of native people. Many drugs, including strychnine, picrotoxin, strophanthin, emetine, cocaine, and ergot, are of herbal origin. About one quarter of the prescriptions dispensed by community pharmacies in US contain at least one active ingredient derived from plant material. 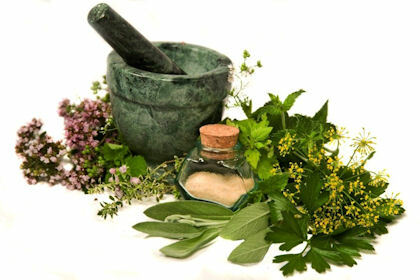 Recently in East Asia and the rest of the world due to problems with modern bio-medicine there has been a great interest and increase in herbal medicines from all traditions. AFL proudly offers variety of herbal medicine formulas that have been made in superior quality, completely unique and specifically tailored to you in pills form or powdered easily mixed with warm water and used.